April is a big month for events. There are probably countless weddings, baptisms, birthdays and even office parties that we all need to attend. You can’t forget the number one celebration in April: The Easter celebration. However, if we are the ones stuck with organizing such events, things tend to get a bit more complicated, because there are plenty of things that can go wrong. For instance, if you happen to be the host of an event like this and you need to have people over then you are not the only one who needs to be prepared, but your house also needs to look spotless. First of all, the house needs to be clean both on the inside and especially on the outside, since the warm season almost forces us to spend more time under the open sky. If you may have the indoor cleaning under control, you definitely need some professional help with making the outside of your house look presentable. This is where Arizona Window Washers comes in. Although it may seem like it, we are not your regular window washing company. There is a lot more to us than that and you should find out what we mean. Of course, window washing is a big part of our company and we actually pride ourselves in being the top window washing company in the area. 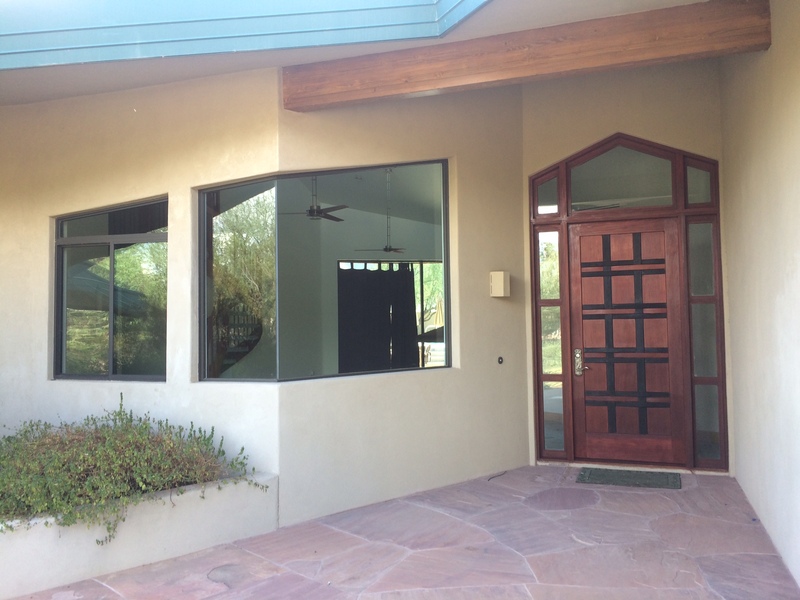 Arizona Window Washers has been the top pick both for residential and commercial customers for years, mainly because of our high quality services and incredibly low prices. However, apart from window washing, our company is able to offer you a series of other amazing services that will surely make your house look just like new. For instance, our pressure washing service will totally change the aspect of your house and turn it from dirty to sparkling clean in a matter of minutes. Our pressure washing service has many uses and you can fully take advantage of it to make your house look absolutely fabulous. We can pressure wash the exterior walls of your house, the driveway, the garage and even the roof. All the dirt, grime and any stains that have accumulated over the years will completely vanish. You have probably forgotten the original color of your house or how your driveway used to look before it was taken over grease stains and dirt. With us you will no longer have to wonder about these things. We guarantee that you will be satisfied with the high quality of our work and you will be pleasantly surprised of our services. All you have to do is give us a call and take advantage of our amazing offers and unbelievable discounts. This entry was posted in Arizona Window Washers and tagged arizona, window cleaners, window cleaning, Window Cleaning Service, Window Washers, window washing, window washing service. Bookmark the permalink.